Planning a party? Catering couldn't get any easier than this. Snappy Chef has just what you're looking for. Whether it's large or small, simple or extravagant, at home or in the office, Snappy Chef has menus to fit any occasion and every budget. Snappy Chef is on the job with professional staff and the most delicious food around. Snappy Chef caters just about anywhere in the Blair, Bedford, Cambria, Huntingdon and Centre County area. Visit The Casino at Lakemont to hold your event in a beautiful venue in Altoona, PA. 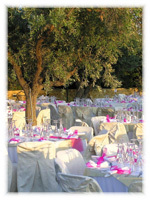 Rely on a caterer with proven experience to set you at ease. Leave the details to us...and Snappy Chef will help to make your catered event the success you envision it to be. And best of all Snappy Chef lets you be a guest at your own party. So, the next time you're looking for a caterer, look no further than Snappy Chef. Give us a call, you'll be glad you did. The buttons above will lead you to our complete catering menu with some of our most requested selections to help guide you in planning your next event. © Snappy Chef. All Rights Reserved.